Growing up was not easy for me; I had to understand and accept that I am gay. If that was not difficult enough for me, I was also very hyperactive. I drove my mother mad with my temper tantrums, mood swings, screaming, yelling, misbehaving, and whatever I could think of. I came to terms with my homosexuality. However, I was diagnosed with Bipolar as an adult. Which explains most of my behavior growing up. 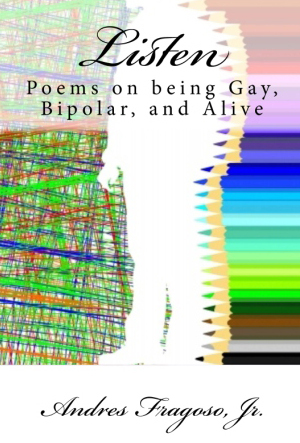 I had to do something with my time, so I wrote short stories, suicide notes hiding within poems that expressed my fears, wishes, love, hate, acceptance of being gay and society’s, expectations of a Mexican man.